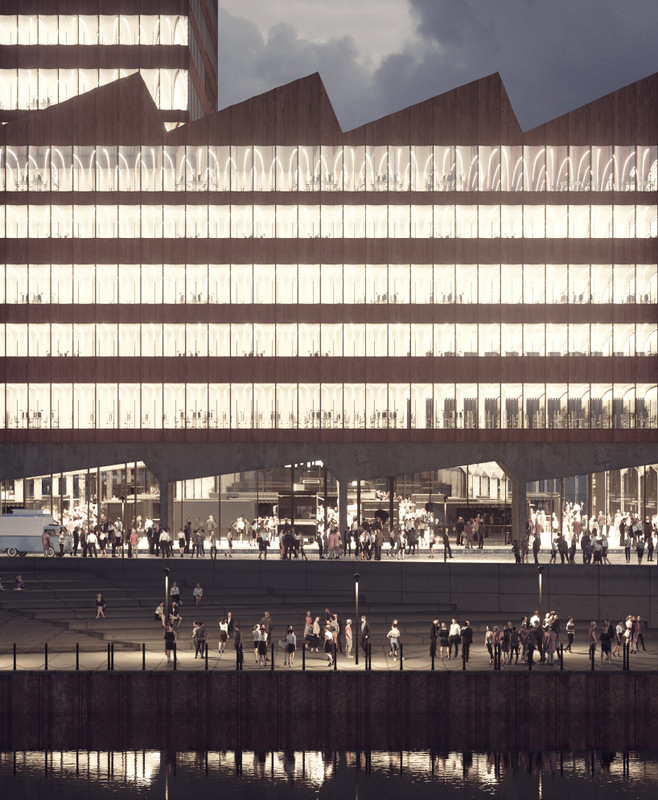 COBE architects is a community of creatives that focuses on architecture and design, from buildings to public space, to large scale urban planning. the firm was founded in 2005 by dan stubbergaard and vanessa miriam carlow. all four buildings contain a series of halls on the ground floor that welcome passers-by with a wide range of functions, including cafés, shops, galleries, and a street food market. housing and offices will be placed on top of these halls. 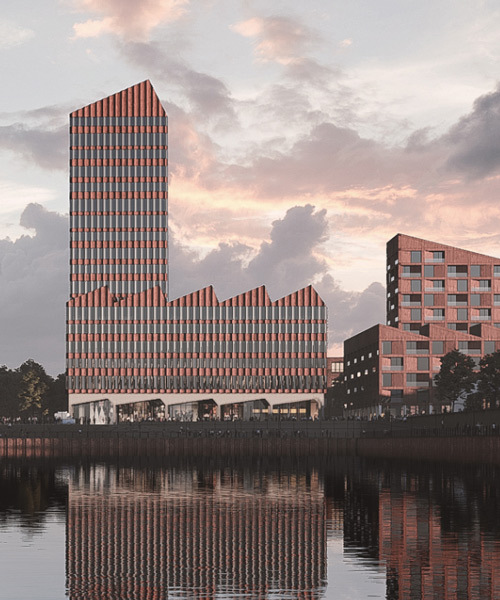 in developing the project, COBE was inspired by bremen’s historical architecture — evidenced in the form, materiality, and colors of the new buildings. the smallest building, mobilitäts haus (mobility house), is a red metal car park where electric vehicles have priority. meanwhile, the office building, zechhaus, is made from red concrete. 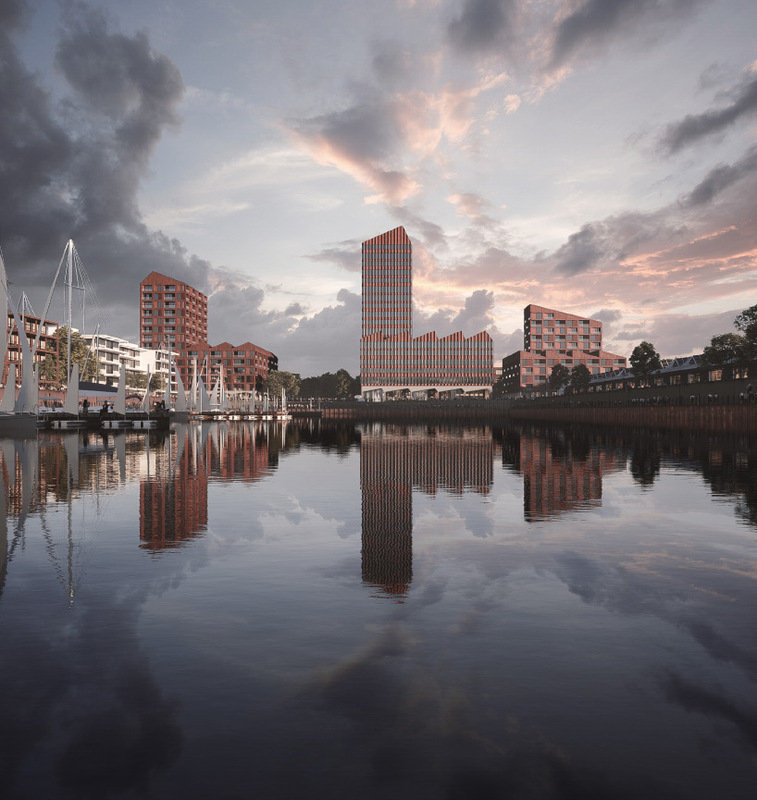 the two red brick residential towers, lofthaus nord and lofthaus süd (loft building north and loft building south), will contain both owner-occupied apartments and social housing. 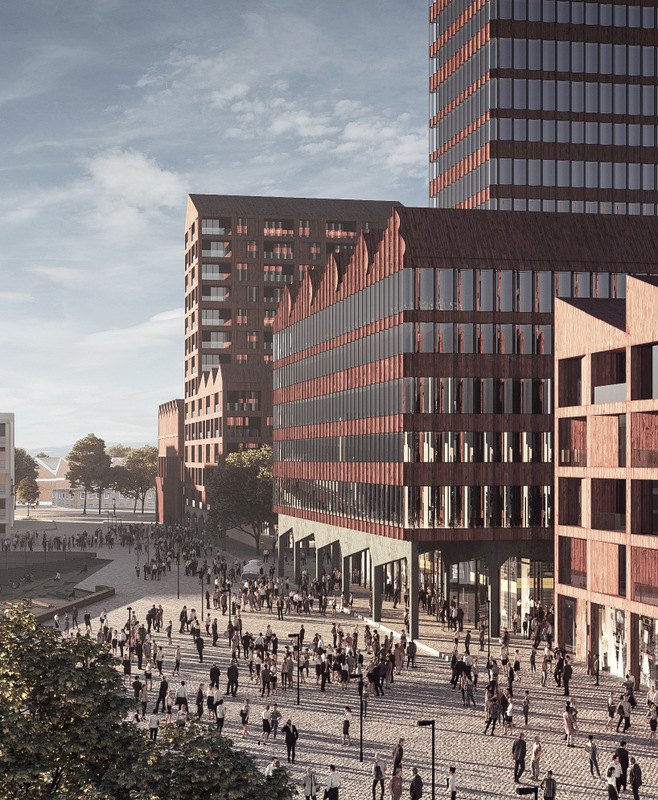 the project is backed by the gustav zech foundation, who, after realizing the development, will make the site its company headquarters. ‘europahafenkopf’ is scheduled to complete in 2021.